Arrow Scientific introduces the Volscan Profiler, an ideal bench top, laser-based instrument to help measure the volume in food testing. The Volscan Profiler allows food manufacturers to have non-contact method in measuring the volume in their food products with rapid and accurate results. 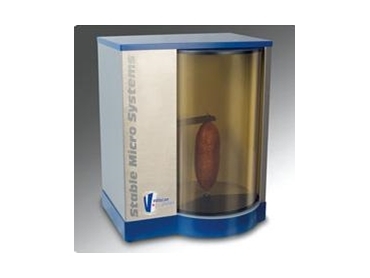 The Volscan Profiler uses an eye safe laser device to scan food products vertically in order to measure their contours at selectable intervals while it’s rotating. The following scans can quickly determine the food product’s volume, length, maximum width, maximum height as well as the height of the maximum width and width of the maximum height. All the Volscan Profiler’s food testing measurement data are saved in spreadsheet files for easy access and analysis. The food testing data can be viewed in 2D and 3D representations in order to allow measurement comparisons with previous measured results. The Volscan Profile is available in Arrow Scientific’s range of texture analysis solutions.